★ INDULGE IN LUXURY: Around approximately 8th century B.C., Assyrians baked thin layers of dough with nuts, poured honey over it, and enjoyed the scrumptious treat. Baklava was only baked on special occasions, usually for the rich who can afford such luxury. We still use the finest quality ingredients and we still make everything by hand. ★ GIVE A GIFT THAT MATTERS - Our delicious bite sized pastries endowed in premium walnuts, cashews, and pistachios are the perfect gift to show you truly care. ★ GREAT FOR SEVERAL OCCASIONS - Not only are our Arabian Sweets ideal for family, friends, and loved ones, but also make a wonderful thank you gift. ★ SPREAD THE LOVE AND JOY - Our treats are handcrafted in Dubai, U.A.E and sealed air tight to ensure maximum freshness. 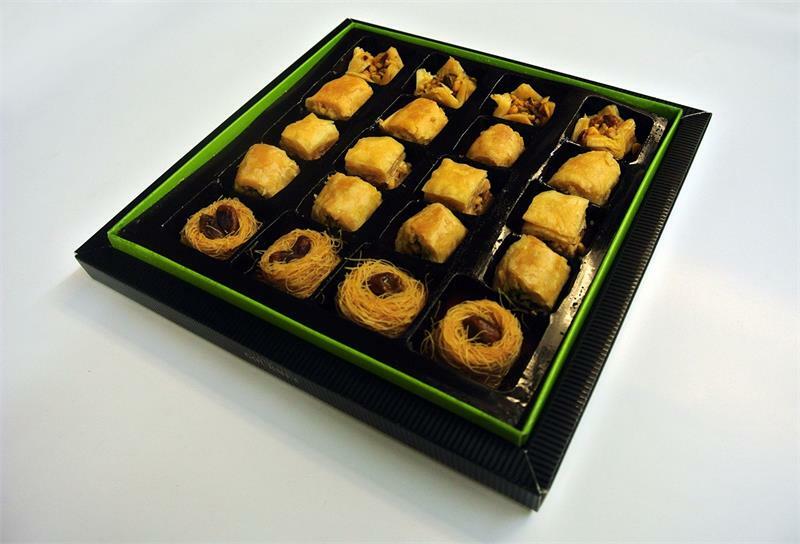 The assortment comes with 20 pieces of delicate, delicious tasting Baklava. 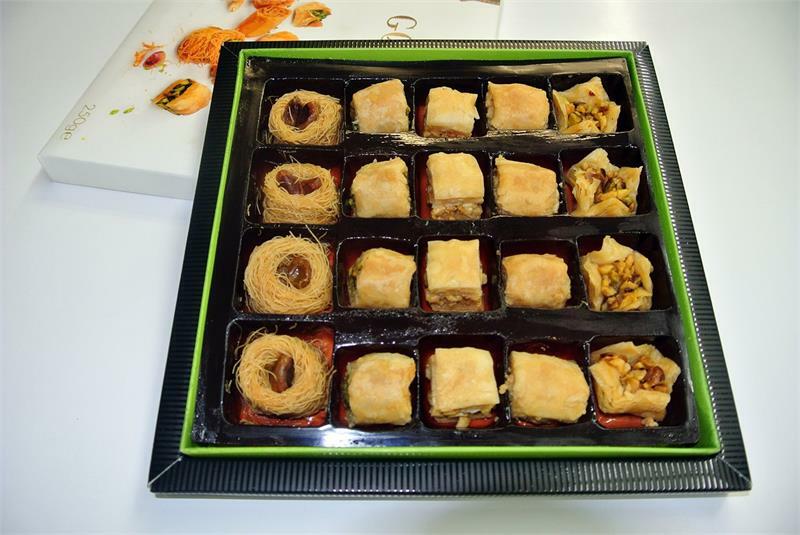 Knowing these treats are made in Dubai gives it that elegance one would want when eating such a great quality of Baklava. There are four different types of Baklava in this batch that range from walnuts, cashews, and pistachios. 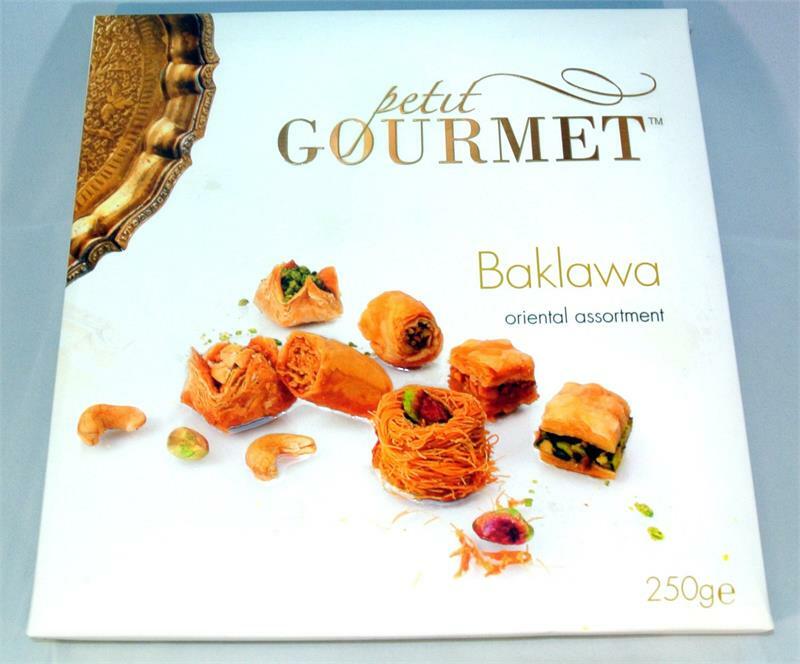 Whether you're staying in or going out, our Petit Gourmet Arabian Sweets is a fitting indulgence. Enjoy them after a cozy meal at home, or bring them to a dinner party as a treat to share with friends. 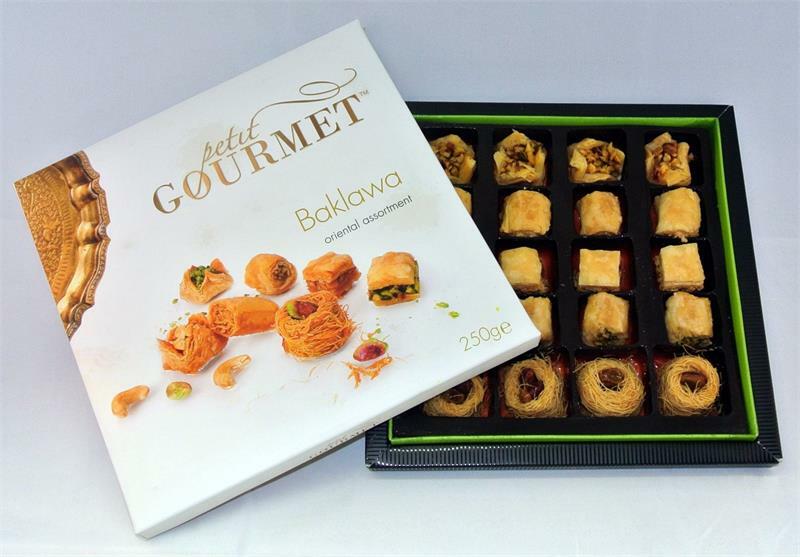 A delicious selection of our finest baklava Arabian sweets beautifully arranged in a gift box. Petite Gourmet, which stands for 'little' gourmet, are creations which have deep roots in the love of confectionery. Today, our sweets factory turns out hundreds of our unique recipes around the world. We've come a long way since 2007, but there are some things that haven't changed. We still use the finest quality ingredients and we still make everything by hand. Petit Gourmet Arabian Sweets are endowed with the finest of walnuts, cashews, and pistachios. 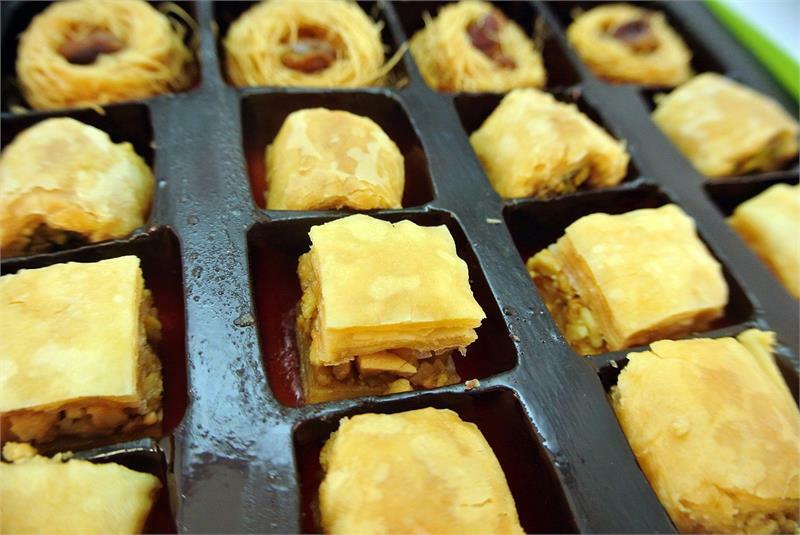 An Ottoman legacy, baklava is regarded as one of the greatest creations from the pastry chefs at the Topkapi Palace. 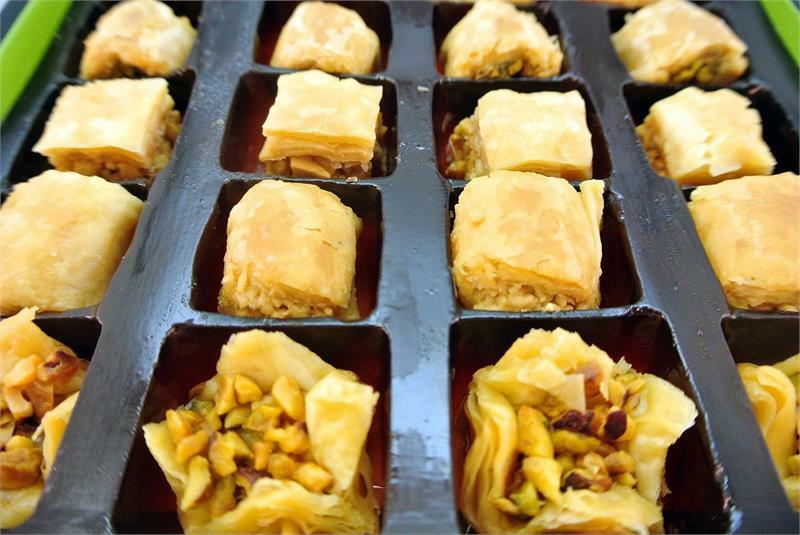 Generally, baklava is enjoyed as a mid-morning sweet snack with a cup of Turkish coffee, or as a mid-afternoon treat with a glass of tea or after lunch or dinner. Baklava is also one of the favorite desserts marking the end of Ramadan. The real thing shouldn't be very sweet and heavy; on the contrary it should be light enough to tempt you to eat a small plateful.